Autumn is a magical season and now in early November there are many plants with leaves, berries, and flowers that display autumn colour at its best. The autumn light especially illuminates leaves as they turn colour so almost every hour of the day, the plants look different. Look out now for those that delight you and plant them for next year. 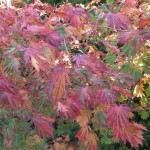 Fabulous leaves of Acer japonicum ‘Aconitifolium’ in rainbow colours. Acers of course have wonderful autumn colour. 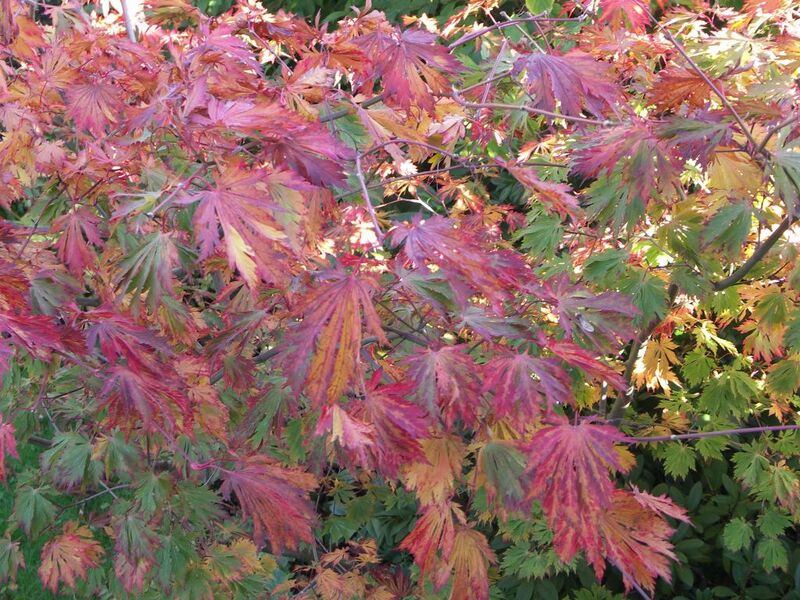 For smaller gardens, Acer japonicum ‘Aconitifolium’ is a fascinating tree. Its leaves are palmate or hand-shaped with deeply lobed and attractively cut leaves as you can see in the picture here. The leaves change colour from green with purple-tips through soft purple with flashes of yellow to deepest orange and red. It has the open fan-shape which is typical of many acers, and enjoys some shade, and neutral to slightly acid, moist but well drained soil. It associates well with azaleas, rhododendron, cornus and camellia. 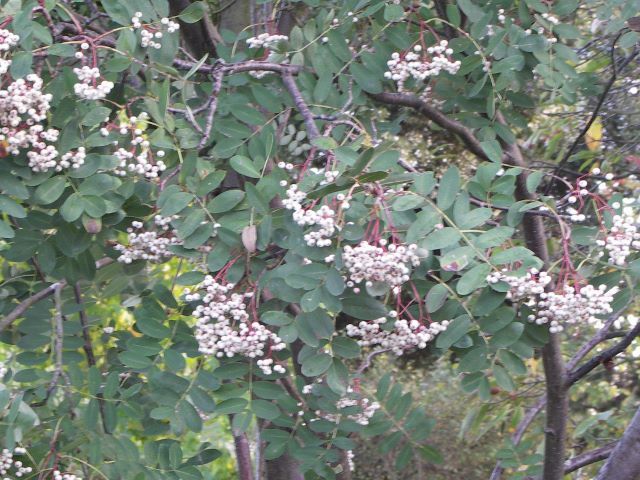 It can also be planted as a specimen tree, and under-planted with bulbs and perennials. Clusters of white berries on this Sorbus hupehensis, last well into winter. 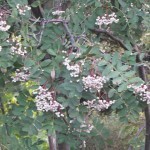 The sorbus or rowan family provide great autumn and winter interest with clusters of berries of varying colours. The leaves are pinnate or feather-like with several leaflets that also provide lovely autumn colour. Birds like red berries the best and leave the white ones to last so choose a species like Sorbus hupehensis, shown left, or Sorbus cashmiriana to keep the berries well into winter. 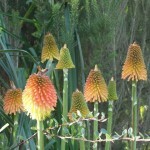 Kniphofia rooperi looks magical in autumn with its striking shape in orange, red and yellow colours. 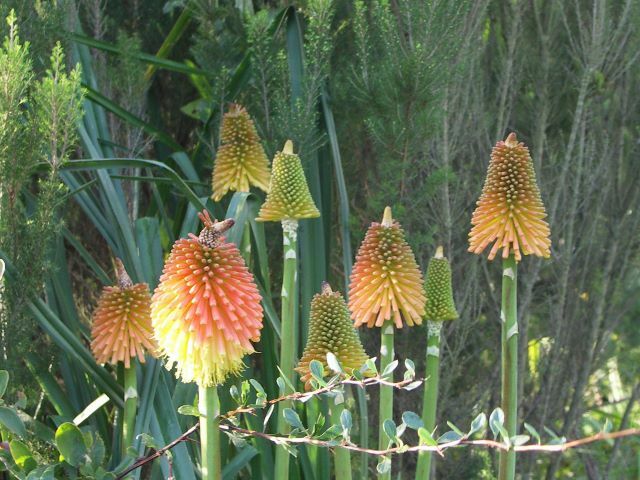 Gorgeous candles of orange red flowers appear on Kniphofia rooperi from early to late autumn, providing extra interest in the border very late in the season. The plant is evergreen so its strappy leaves are there throughout and it is a robust and hardy plant. It grows well in moist, well-drained soil in sun or partial shade. 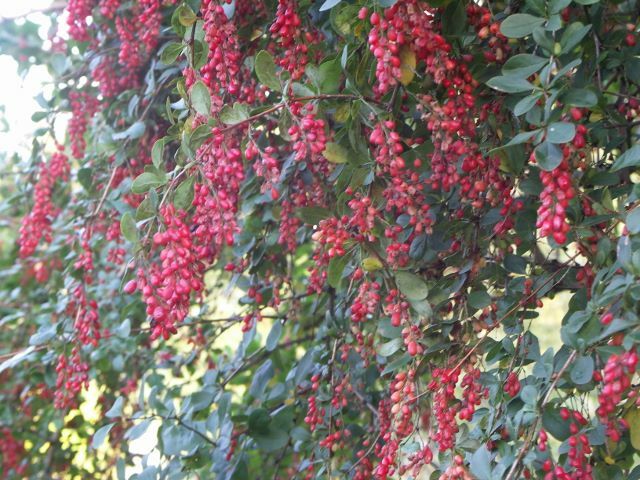 Striking clusters of pinkish-red fruit cover this Berberis chinensis in autumn. Seen less often than some of the better known berberis or barberries, Berberis chinensis has rather special clusters of reddish-orange fruits in autumn which follow on from yellow flowers in spring. It is hardy, thorny and grows well on a range of soils including heavy clay. Several berberis have good autumn colour and lovely spring flowers and foliage. 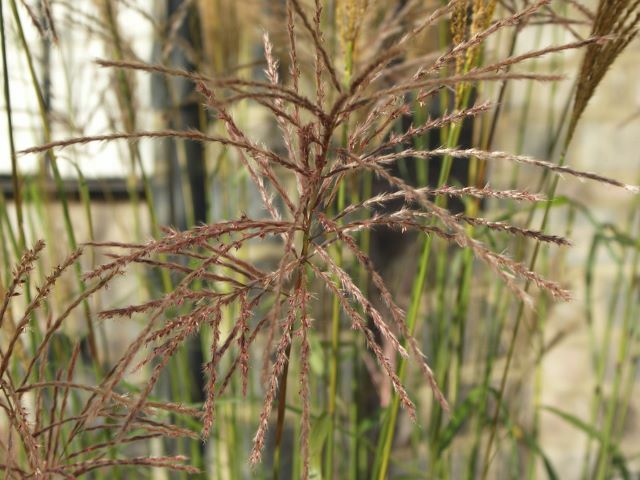 Beautiful red flower panicles which fade to a straw colour cover this Miscanthus from early summer to late autumn. Many grasses have fantastic florets and seed heads which provide excellent autumn colour. 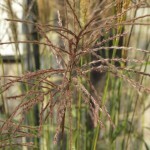 Miscanthus varieties often produce red panicles when in full sun and ‘Emmanuel Lepage’ produces these in abundance from early summer to late autumn. It makes an elegant fountain of green grass and each blade has a narrow white stripe. It grows to about 1.2 m and associates well with other grasses and long flowering perennials such as Echinacea and Verbena. In early spring cut it right back before the new seasons growth. Many roses produce flowers well into November and add delicate flower colour in autumn. Rosa ‘Ballerina’ is a pretty pink example of a long flowering cultivar which looks great as a bush or a standard. 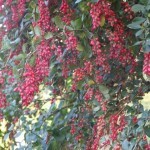 The spindle trees Euonymus alatus and Euonymus europaeus have lovely autumn colour and unusual red fruits. Amelanchier and Cherry trees have some of the best colour and many trees that are beautiful in autumn are equally spectacular in Spring. This entry was posted in Autumn Colour and tagged Acer japonicum, Amelanchier, Autumn colour, Berberis, Cherry Trees, Euonymus, Garden Design, Grasses, Kniphofia, Leaf & Acre, Miscanthus, North London, Perennials and Grasses, Planting Design, Roses, Sorbus hupehensis on November 6, 2013 by admin.